At over three times the median U.S. household income, this Democratic congressman thinks he and his fellow representatives deserve a raise. 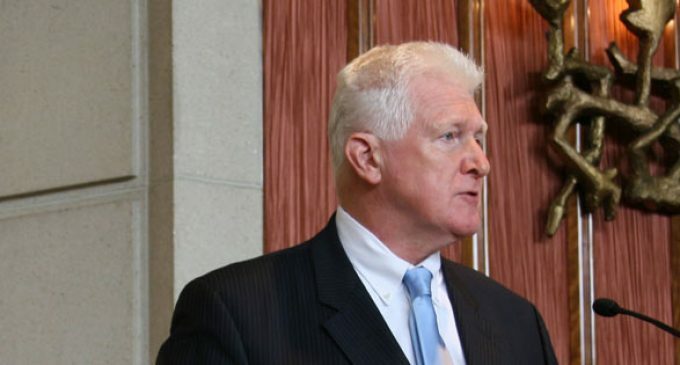 Rep. Jim Moran (D., Va.) told CQ Roll Call members of Congress are “underpaid” and he plans to introduce an amendment to correct the injustice. “I understand that it’s widely felt that they underperform, but the fact is that this is the board of directors for the largest economic entity in the world,” he said. While that claim is not technically true (the European Union is the largest economic entity in the world), let’s assume for a moment that being on the U.S. “board of directors” should warrant a raise for Congress. Congressional salaries have been frozen since 2010, but regular members still pull in $174,000 per year – more than triple the 2013 median U.S. household income of $52,000. Leadership positions are compensated higher. Additionally, the “board of directors” has not exactly been delivering for their “shareholders.” Unemployment remains a staggering 6.7 percent, and the labor participation rate hovers at historical lows. They have enough money already, why do they need anymore. Overpaid is more like it,get a job at Mcdonalds! All but a very few are OVERPAID!!!!!!!!!!!!!!! NO, THEY ARE NOT ! They are paid to much when they have more days off than they work and never get anything done!